Basil is a rapidly growing bushy annual that thrives well in warm weather and moist well-drained soil. It can be planted in the ward or grown in containers as an indoor plant. Once the plant is allowed to flower, it may produce seed pods containing black seeds, which may be saved and planted the following year. Before the first frost of autumn, you got to harvest all your basil or the leaves will turn black. Freeze them or use to flavor your favorite oil as a salad dressing. 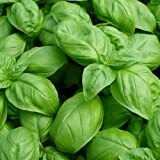 To grow basil in your yard, sow the seeds when frosts are over, in full sun, well-drained soil enriched with compost and manure, or start indoors in individual pots or buy bedding plants. It is a tropical plant that cannot survive cold, so heating cables are helpful inside. Grow a few basil plants in containers, so that you can bring them indoors before fall frost. Basil is an extremely delicate herb. Its leaves begin to wilt in lack of water. Mulch to retain moisture after the soil has warmed. Pinch off the flower heads to encourage a bushy foliage. Space small leaved types around a feet apart. As frost nears, you can also cut off some end shoots of plants in the garden, and root them in water to be potted later. The natural warmth prevents fungal diseases. Begin using leaves as soon as the plant is large enough to spare some. Handle delicately so as not to bruise or blacken the leaves. You can air dry basil in small bunches or use it frozen. 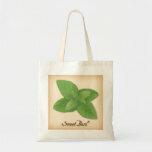 Lemon basil: Widely used in Indonesia, it is either served raw with raw cabbage and green beans or with fried fish. It has a strong lemony flavor. Thai basil (Ocimum basilicum var. thyrsiflora): Native to south-east Asia, it has an anise or licorice like flavor, is slightly spicy, with narrow leaves, purple stems and purple-pink flowers. Cinnamon basil: Also known as the Mexican spice basil, it has narrow, slightly serrated dark green leaves with small pink flowers. Holy basil (Ocimum tenuiflorum, previously known as Ocimum sanctum): It is an aromatic variety with medicinal benefits, native to the Indian subcontinent. 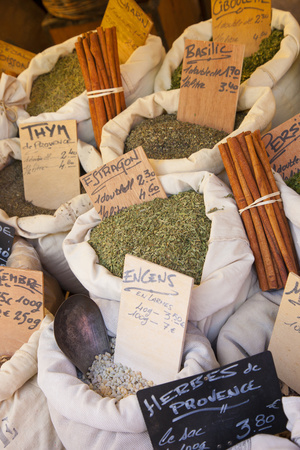 A natural insect repellent: Be that in a garden or in a room, the scent of this herb drives away the insects. It is especially effective in repelling aphids and flies. 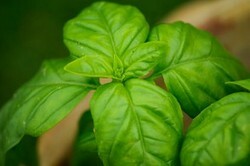 To make a natural bug spray, pour around eight ounces of water over twelve ounces of clean fresh basil leaves. Cover and allow to steep for several hours. Squeeze and strain the leaves out of water. Add up to eight ounces of carrier (witch hazel or vodka) and spray as needed. Soothes insect bites and stings: Eugenol, a volatile oil found in basil helps reduce the swelling and redness of bug bites. Crush a couple of basil leaves and roll them in your fingers to release the oils. Rub the oil directly to the sting to relieve pain. Herb based bath: Throw some basil leaves in a hot bath or use basil facial steam to relieve stress and ensure comfortable night sleep. how strange ; I bought a basil plant today and this evening used some leaves in my homemade tomato and basil soup. It is my favourite herb and the scent is just heavenly. fresh basil on bruschetta instead of dried basil...ohhhh heaven ! I have a lemon basil plant indoors and I use it in cooked dishes or freshly chopped in salads. I didn't know you could use basil in insect spray to fight aphids. Great tip! I love basil. Didn't know it was a tropical plant either.